In most parts of the country, barbecue season has arrived (though I know many of you are cooking on the deck through snow season!). And it helps to have a flavorful meatless main on the menu for light nights or when vegetarian or vegan guests are expected. Enter this balsamic grilled tofu. This recipe with photo for balsamic grilled tofu was shared with us by soyfoods.org. 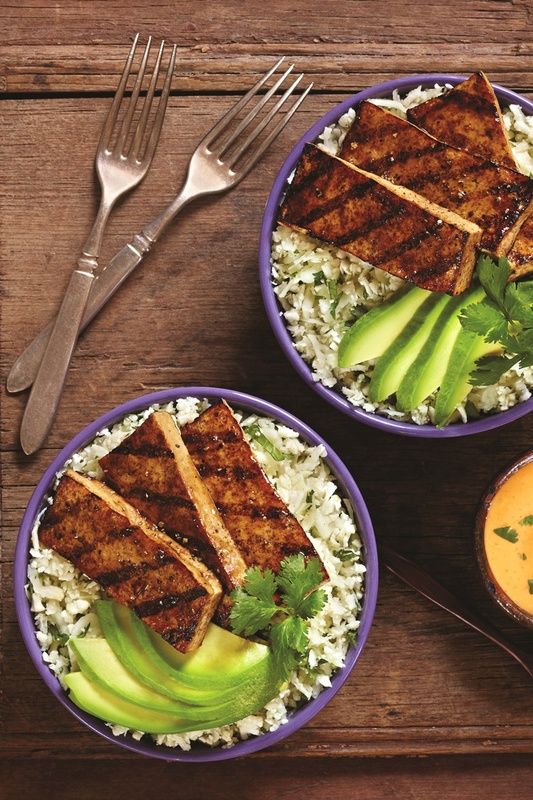 Seasoned with a quick marinade, this grilled tofu recipe comes together quickly and is accompanied by a complimentary spicy mayo. For gluten-free or sneaky veggie needs, it’s also served over cauliflower “rice”, but you can swap in traditional cooked rice if preferred. Also note that the cauliflower is served raw. We prefer cooked cauli-rice. To cook, steam the cauliflower prior to mincing. 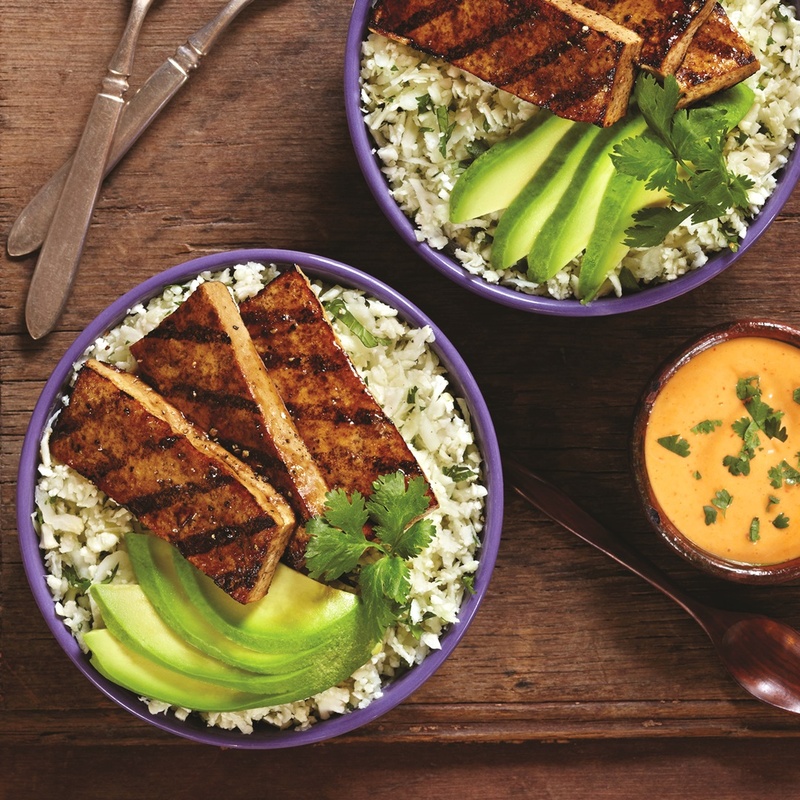 Beyond cauliflower rice bowls, this grilled tofu with the sriracha mayo is a great options for kabobs, salads or sandwiches! Though some people have concerns about soy, it’s important to note that the negative studies are focused on soy protein isolate, not whole soy or fermented soy. For this balsamic grilled tofu, choose an organic product (for non-GMO) that’s made simply with whole soybeans. House Foods has a few great options. 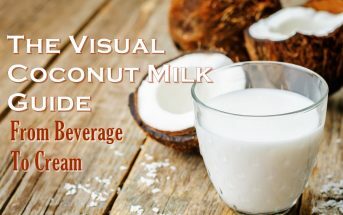 By ingredients, this recipe is dairy-free / non-dairy, optionally egg-free, gluten-free, grain-free, nut-free, peanut-free, optionally vegan / plant-based, and vegetarian. Slice the tofu into ½-inch thick slices. In a bowl, whisk together the vinegar, olive oil, salt and pepper, to taste. Pour over the tofu and marinate for 20 minutes. Meanwhile, whisk together all ingredients for the Sriracha Mayo in a separate bowl. Grill the marinated tofu for 3 minutes per side. In a large bowl, combine the cauliflower and cilantro. Divide the mixture into four serving bowls. 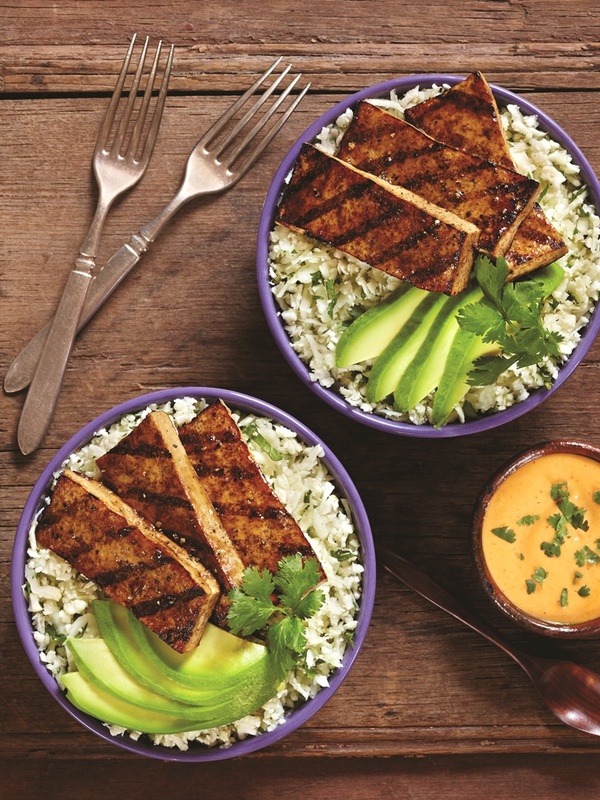 Top each with grilled tofu and sliced avocado. Serve with the Sriracha Mayo. This looks great! I am never quite sure how to go about cooking tofu so your recipe would certainly help me out. I would eat this but haven’t yet convince the hubby that tofu is something yummy he should try. Hopefully he comes around soon – he’s really missing out! This looks so good! I have been obsessed with anything cauliflower lately, especially cauli-rice! 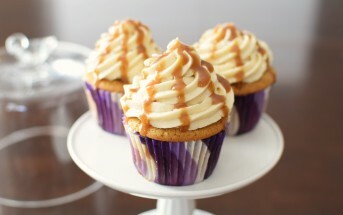 Well… I’m making this tonight! It just looks SO GOOD! This tofu looks amazing! Like the most amazing looking tofu ever – truthfully! I would have mistaken this for chicken! Tofu is so inexpensive too. Cilantro cauli rice is a meal staple for me. I must make this dish asap! Aghhh! Ever since going pescatarian, I’ve been eating a lot more tofu and am still looking for new and tasty ways to cook it. I have yet to try grilling it; maybe I’ll give this a shot tonight. Thanks! Yes, I think that might need to happen for you! I love the way tofu soaks up so much flavor.